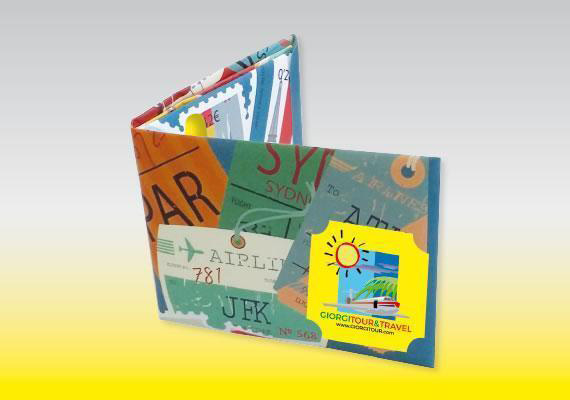 This very convenient low thickness paper wallet fits easily any trouser or jacket pocket. 100% customizable in 4 color printing over the entire surface. Minimum quantity 100 pcs . Special paper produced in Austria, matt laminated on both sides. This handmade wallet offers a perfect assembly and a continuous quality control. Individual packaging in a transparent envelope. Possibility of presentation as a blister card. Size (closed): 11 x 8.5 cm. It can be used with banknotes and from 2 to 8 credit cards. Ideal for the promotion of all sorts of products and services, given the multiple printable sides.